untouchable by hands that dare so much? you, teach me more about how touch commands. will have to stand in for your hands. 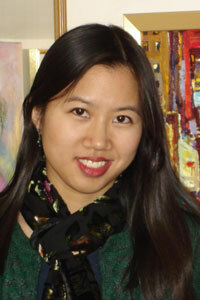 Mina Le is an otolaryngologist, and head and neck surgeon at the West Palm Beach VA Medical Center in South Florida. While attending Harvard University, she studied poetry and received the James Buell Munn Award for literary talent. A native of Minneapolis, she obtained her MD from Harvard Medical School.